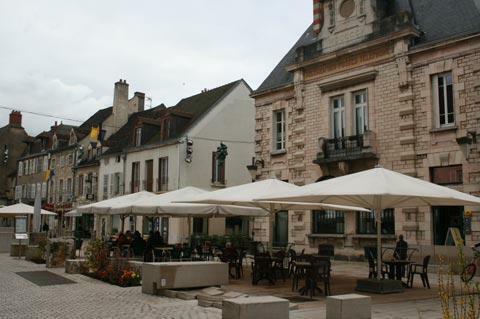 The small town of Nuits-Saint-Georges is situated in the Cote d'Or department of Burgundy between Dijon and Beaune, and is best known as being the centre of the local wine region called the 'Cotes de Nuits'. Around the town you will see endless vineyards across the rolling hills. The town itself is pleasant if unremarkable, and based along a long pedestrian street called Grande Rue. This street has a variety of shops, cafes and bars, including a couple of opportunities to buy the local wine. Half way along the Grande Rue, where it widens into a public square you will notice an attractive building: this is the town belfry, and dates from the first few decades of the 17th century: the house with the large entrance was built first, then the tower was added later, then the small belltower added a few years later again. 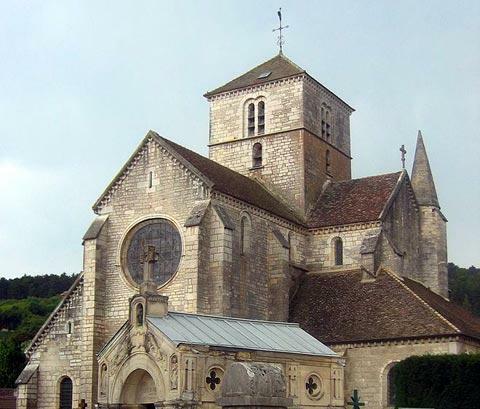 You can also visit the 12th century roman style church of Saint-Symphorien, a substantial church on the edge of Nuits-Saint-Georges (the entrance porch was added in the 17th century). The other church here, the Church of Saint-Denis was built in the 19th century and is now the principal church for the town. The hospital, just to the south of the main centre, was also built in the 17th century and still operates as a geriatric hospital. The hospital is richer than most because it owns a wine domaine and the proceeds from selling wine (under the name of 'Vins des Hospices de Nuits') go to the hospital - an example of red wine being good for the health perhaps! 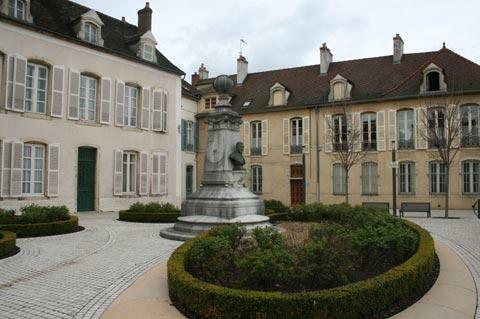 The 17th century town hall in Nuits-Saint-Georges stands at one end of the Grand Rue, and has a well maintained park area behind it where it is pleasant to take a stroll. A weekly market is held in Nuits-Saint-Georges each friday. One popular attraction in the town is the Imaginarium, a 'museum' that features numerous articles related to wine production. The Imaginarium is well planned and the displays are very interesting and informative. 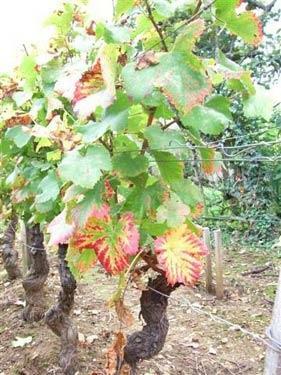 On a similar theme, the Cassisium explains the world of cassis, the popular liquer which is also produced in the area. 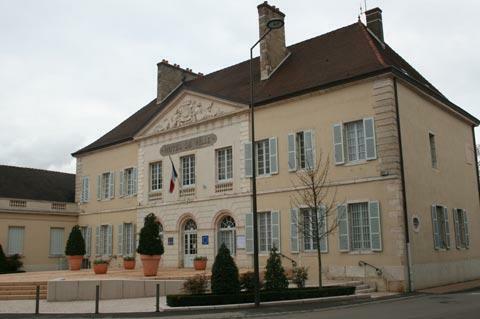 The site of Nuits-Saint-Georges has been occupied since roman times, and you can visit the archaeological site at Bolards where an important roman settlement was based, with a temple, basilica and workshops. Items discovered at the site can be seen in the museum in the town centre. While you are in the region you will certainly want to take a stroll around the small historic centre of Beaune to the south, and the imposing city of Dijon to the north of here has a great deal of historic buildings to see. 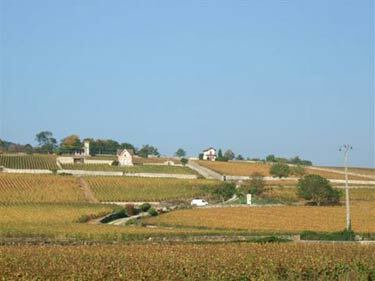 The main reason visitors pass through Nuits-Saint-Georges is because of its fame as centre of the important wine region, and the intense red wines produced here. 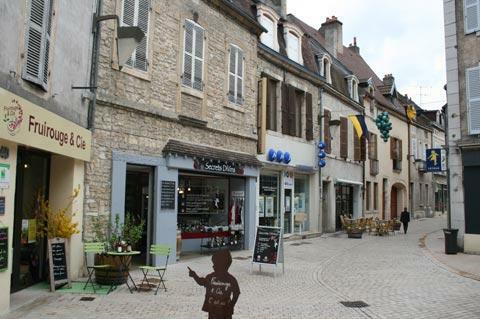 The town is on the 'Burgundy wine Route' that passes through many of the important wine villages of southern Burgundy - among the villages close to here are Gevrey-Chambertin and Vougeot. 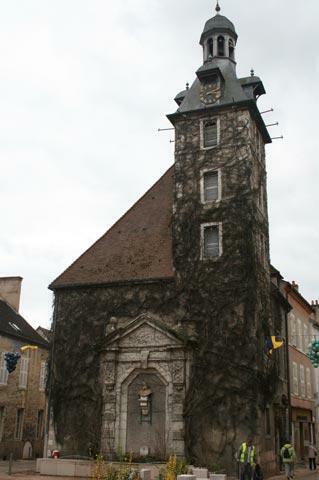 Following the wine route will introduce you to many of the local wine chateaux - see Burgundy Route des Grand Crus. The wine region is held in such high regard that there is even a crater on the moon named after it! You can find more local travel ideas in the Cote d'Or guide and the Burgundy guide.